A cold weather plan for your facility should be an integral part of your overall maintenance plan for the building and equipment, as well as part of your emergency response/contingency plan that helps your business respond to and manage an emergency event. 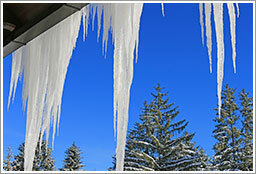 Hanover Insurance Group provides these helpful tips for preventing cold weather hazards. For additional resources on cold weather hazards, contact a Knowledge Broker at R&R Insurance.